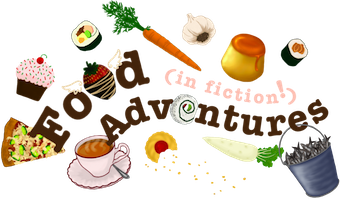 Book Adventures: YA Mythology Giveaway Hop, Percy Jackson Prize Pack! 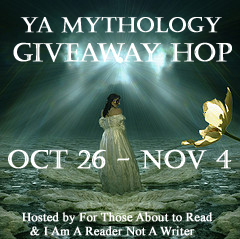 YA Mythology Giveaway Hop, Percy Jackson Prize Pack! Yahoo! I'm giving away an awesome Percy Jackson prize pack! 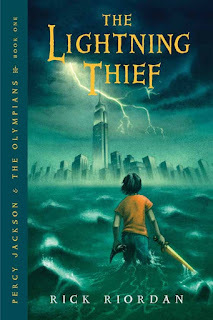 One lucky winner will get a hardcover copy of the first book in the Percy Jackson and the Olympians series by Rick Riordan, Percy Jackson and the Lightning Thief, a poster & pin of the second book in Rick's Heroes of Olympus series, The Son of Neptune, a sheet of Heroes of Olympus trading cards, and a Percy Jackson and the Olympians word search! 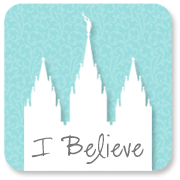 Just fill in the Rafflecopter form below! 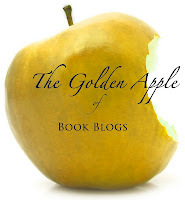 This hop is kindly hosted by For Those About to Read & I Am A Reader, Not A Writer. The Percy Jackson and the Olympians series ends with 5 books, but Rick Riordan began a second, related series, The Heroes of Olympus, which is now three out of five books long. Percy reappears in The Son of Neptune, the second book of the Heroes of Olympus series. I LOVE LOVE LOVE Rick Riordan! He is just AWESOME!! Percy FTW!